If you already have an Apple ID, chances are you have a credit or debit card connected to it. But for your convenience, Apple has added PayPal support. It means you won’t have to update your payment details in iTunes the next time you get a new card. As of today, the option is available only in Canada and Mexico, but PayPal promises it will expand to other countries, including the U.S., soon. PayPal can be used to pay for items in the App Store, Apple Music, iTunes, and iBooks on iPhone, iPad, and iPod touch. “This provides a secure and versatile payment method to meet the growing demand for digital entertainment,” PayPal says. 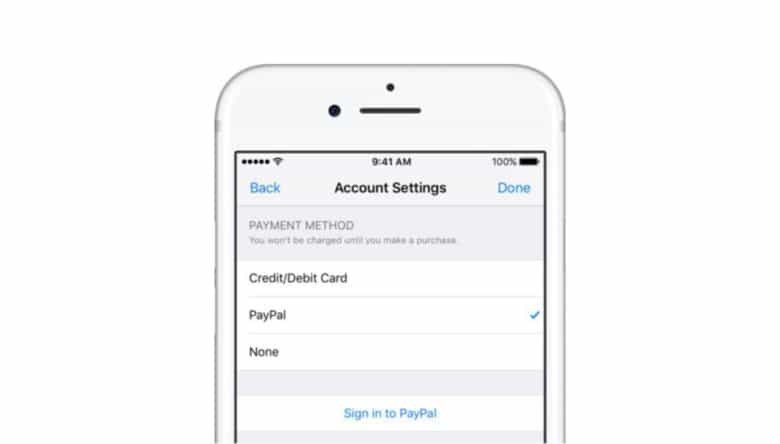 To setup your PayPal account, visit the account settings page within the App Store, Apple Music, or iTunes on your computer or iOS device. You can then select Payment Information before choosing the PayPal option and logging into your account. Once you have selected the PayPal option, all future purchases will use this by default. PayPal support comes at an interesting time, with Apple gearing up to do battle with the service later this year with the introduction of its own peer-to-peer payments feature for Apple Pay in iOS 11. Users will be able to send cash to friends using iMessage.